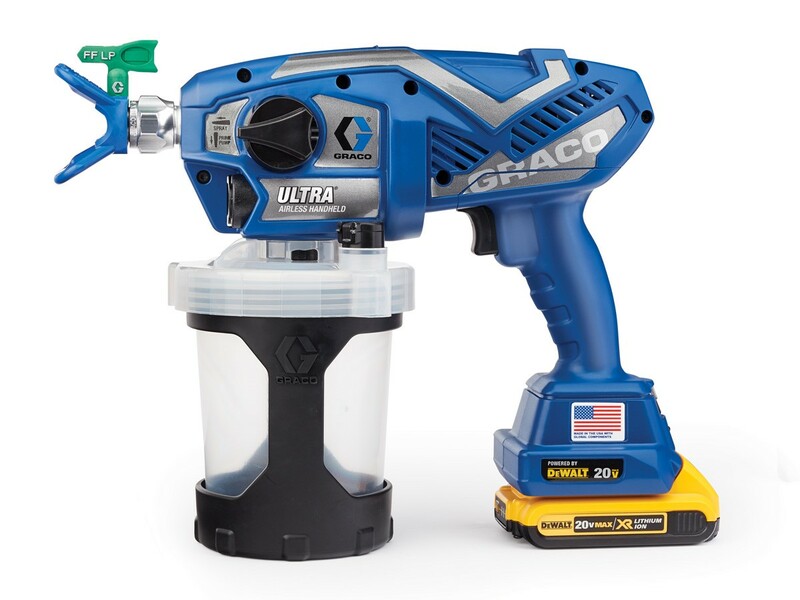 Ultra airless handheld sprayers are designed specifically for small interior, exterior and specialty projects, and the Ultra Cordless sprayer is ideal for spraying water-based materials. The true advantages of the Ultra handheld sprayers are the Perfect Airless Finish, ultimate portability on the job, and that it is ready to spray in seconds. Painting contractors can easily spray those small jobs without having to start-up their larger airless sprayer. Cordless models spray up to 1 gallon (3.78 liter) with each charge, thanks to the DEWALT 20V lithium ion system - the most reliable and trusted battery on the market today. Best of all, it works with any DEWALT 20V Lithium Ion battery.